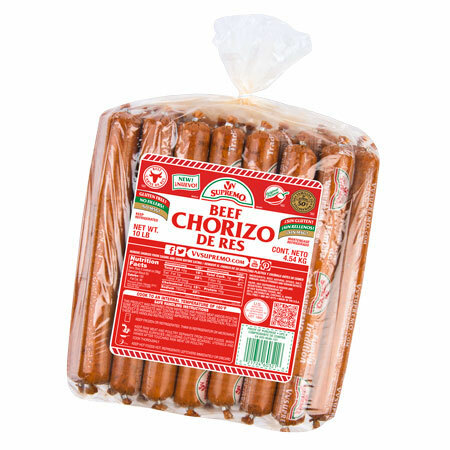 Our fresh, Mexican-style chorizos are crafted from lean meat and high-quality spices with no fillers, gluten, or MSG. Expect high yields, meaty texture, and vibrant flavor. 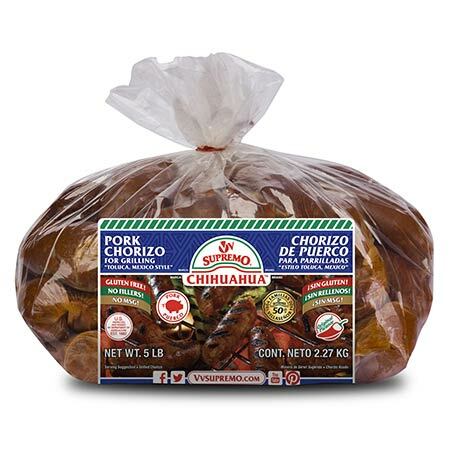 Perfect for traditional applications such as chorizo with eggs, beans, or potatoes. Can be added to ground meat items such as meatloaf, meatballs, hamburgers, pasta sauces, and chili. Available in both pork and beef. FLAVOR PROFILE: Robust, complex, full of spices, yet well-rounded. 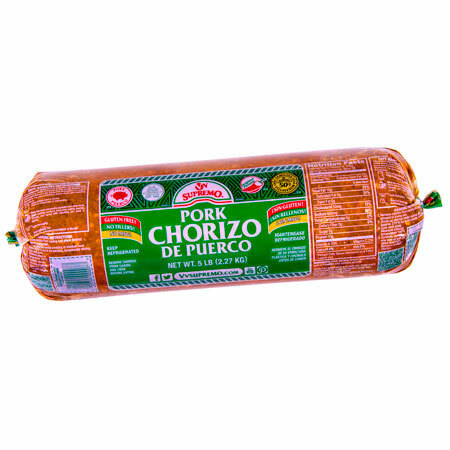 CHARACTER & TEXTURE: Crumbly texture, with reddish color when cooked. SUGGESTED APPLICATIONS: Cook like ground meat. When cooked and crumbly, add items such as eggs, potatoes, beans or rice. Typical uses include topping for queso fundido (broiled cheese), nachos, and quesadillas. Add to any ground meat recipe for added “kick”, such as meatballs, hamburgers, chili, and meatloaf. FLAVOR PROFILE: Complex, spicy, robust, yet well balanced flavor. 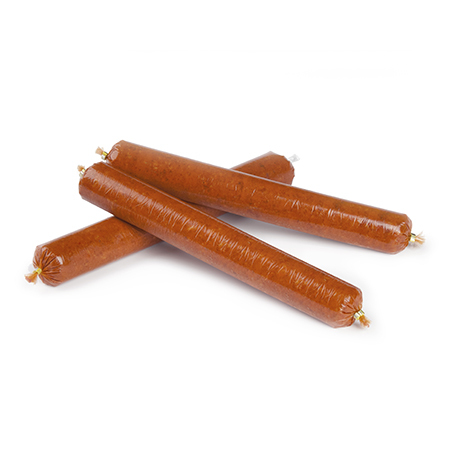 CHARACTER & TEXTURE: Natural casing sausage links with firm, meaty texture. SUGGESTED APPLICATIONS: Perfect for grilling or pan cooking. Wrap a tortilla around a cooked link and sprinkle on some pico de gallo. For breakfast or brunch service with eggs, and perfect for a mixed grill. 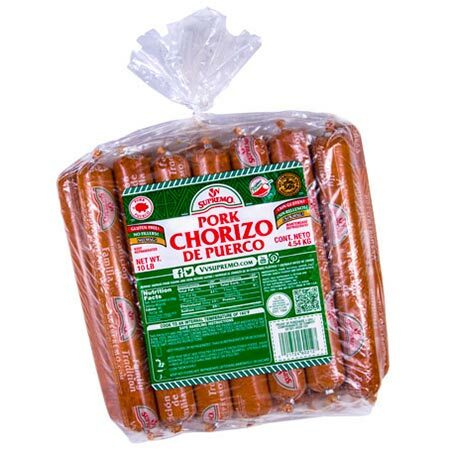 FLAVOR PROFILE: Same profile as our Pork Chorizo made with lean ground beef.